I presented the planting design and construction costs to my client in Leatherhead last week and we should be all ready to start the build phase of the project in March. Weather permitting, the construction should last for approximately four weeks which of course is perfect timing to get the plants in the ground ready for my clients to enjoy their garden in the summer. 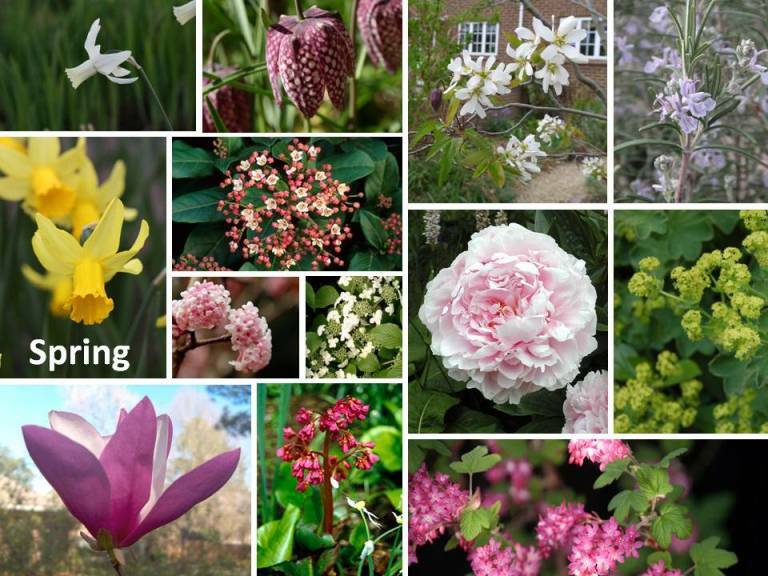 As you may know already, I always put together a presentation of the planting scheme through the seasons because it can sometimes be difficult for clients to visualise the finished garden from a two dimensional planting plan. My clients wanted a planting scheme with the emphasis on summer, soft foliage and blues, pinks, lilacs and other soft pastel shades. I have tried to continue this into the other seasons as far as possible so the spring palette includes plants such Peonia lactiflora ‘Sarah Bernhardt and Viburnum x bodnantense ‘Dawn’. 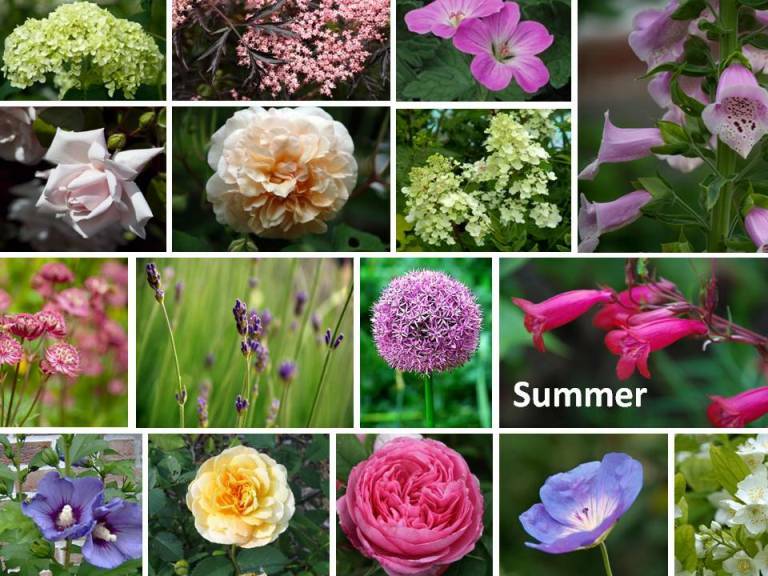 As we come into the summer there are hydrangeas, lavender, roses and perennials such as geranium and penstemon. Many of the shrubs have softer foliage so although there are evergeen shrubs for structure, I have also chosen deciduous shrubs that will continue the softer summery feel. 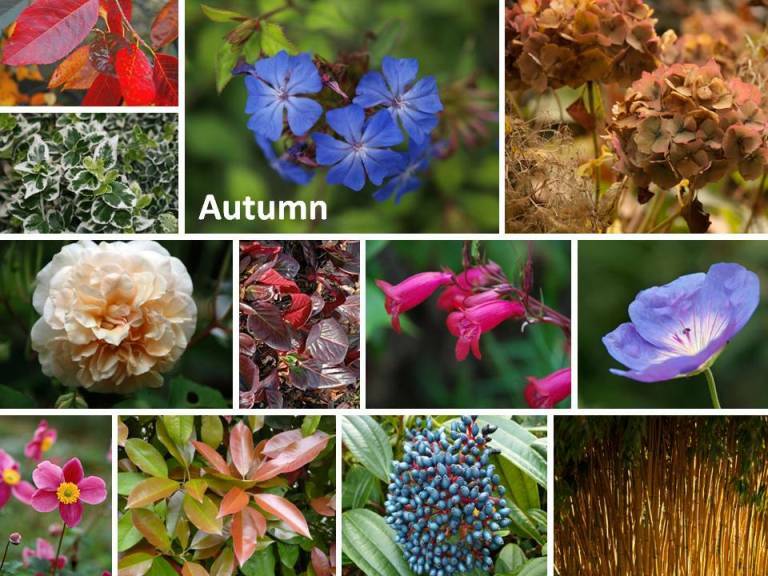 As autumn arrives, some of the summer perennials will still be flowering. Penstemon and Geranium ‘Rozanne’ have a very long flowering period and often go on until the first frosts. Shrubs such as Ceratostigma x willmotianum will bring colour and texture to the planting when the foliage changes colour too. In winter the evergeen shrubs will come into their own especially the scented species such as the Christmas Box (Sarcococca confusa). Some early flowering bulbs such as Narcissus ‘February Gold’ and snowdrops will help to bring interest to the soil where perennials have died back. So, all the planning has been done and now all we need is a few months of good weather to help the build phase along. I’ll be sure to share the progress of that with you and of course pictures of the finished garden too. 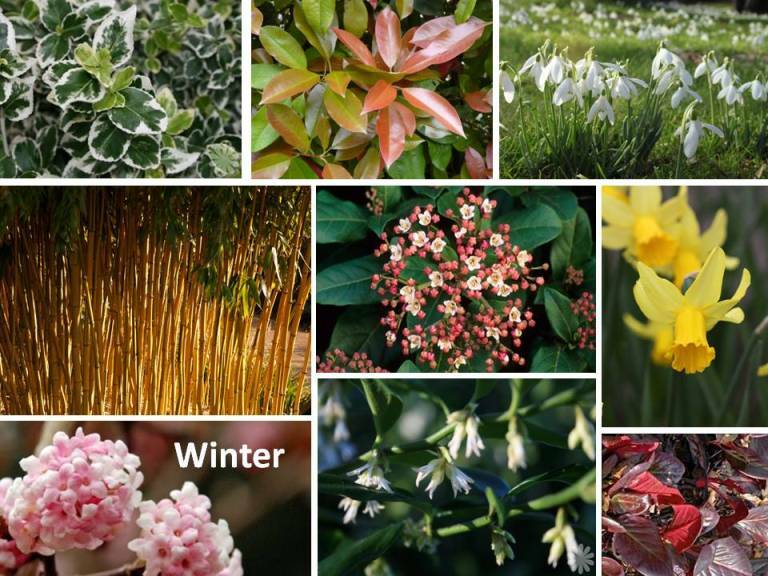 it is a good idea to do a seasonal presentation of a planting plan. I will consider this for my own clients, too.